Home / Shop by Price / Baby Boy Medium Party Platter - Free Shipping! 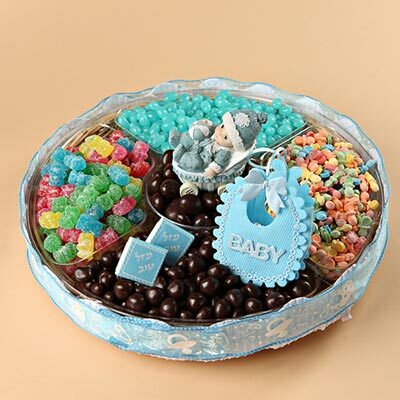 Baby Boy Medium Party Platter - Free Shipping! 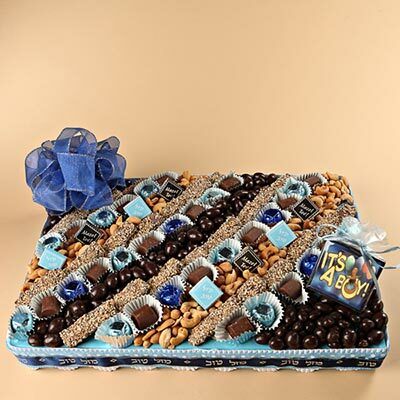 A delicious mix of dark chocolates and nut platter to celebrate the new baby. 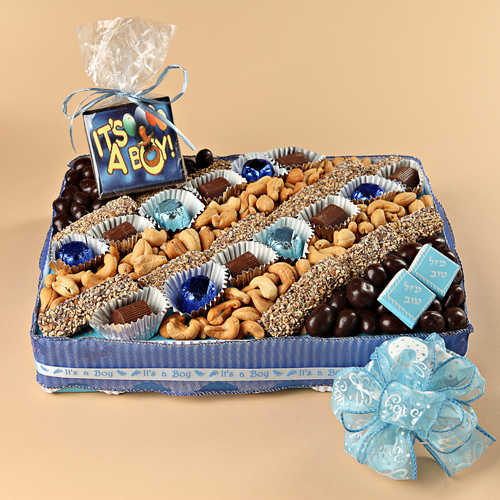 A selection of Viennese crunch, cashews and chocolates are included. Measures 9" x 12". An indulgent display of fancy chocolates, truffles, Viennese Crunch and nuts to celebrate the arrival of the baby! This will wow everyone and will beautifully adorn the table. 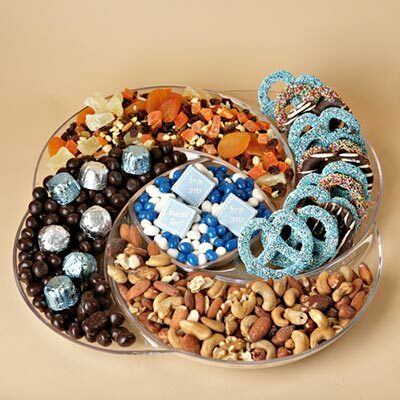 Our very popular blue themed platter filled with chocolates,including chocolate covered pretzels,chocolate truffles, blue and white jelly beans, dried fruits, mixed nuts and novelty chocolates. 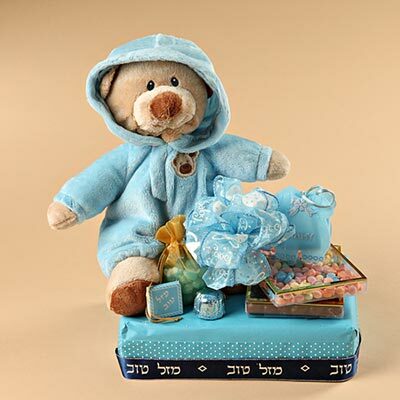 Perfect for a Bar Mitzvah, Shalom Zachar, Bris or Auf Ruf!